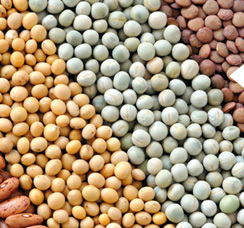 A vast majority of the country is vegetarian and pulses are a major source of protein here. However, primitive agronomic practices have kept productivity of pulses low. NABARD initiated a dynamic financial aid project in Jhansi district that has helped farmers improve productivity of pulses and reap better price through grading and collective marketing.